2. 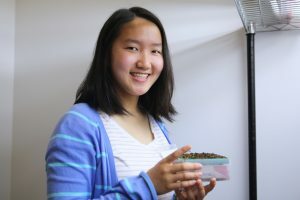 What is ammonia’s role in the aquaponic system? 3. What is the optimal level of ammonia? 4. How do I test for ammonia? 5. What do I do if the ammonia level is too high? Ammonia, a compound with a chemical formula NH3, is an important chemical that determines your aquaponic system’s survival. 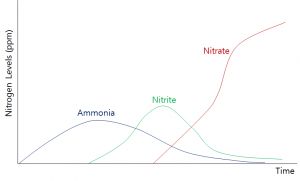 Ammonia takes part in the nitrogen cycle as it can be present in the water from excess fish food, decomposition of organic materials, and fish excretion. Although there are multiple reasons for ammonia to exist in the system, high level of ammonia is toxic for both plants and animals. -damage to tissues, especially in gills and kidneys. Therefore, it is crucial to monitor ammonia regularly to create the best environment for all organisms in the aquaponic system. Ammonia is the chemical essential for the nitrogen cycle and is first produced when the organism’s bacteria in the intestines breaks down the protein from the food source. Ammonia is then converted to nitrite, NO2-, another form of nitrogen found in the nitrogen cycle. This process is known as the first step nitrification, conducted by a type of nitrifying bacteria, nitrosomonas. Nitrite is then converted to nitrate, NO3-, in the second-step nitrification by another type of nitrifying bacteria, nitrobacter. Nitrate is the form of nitrogen that can be used up by plants for growth and survival. 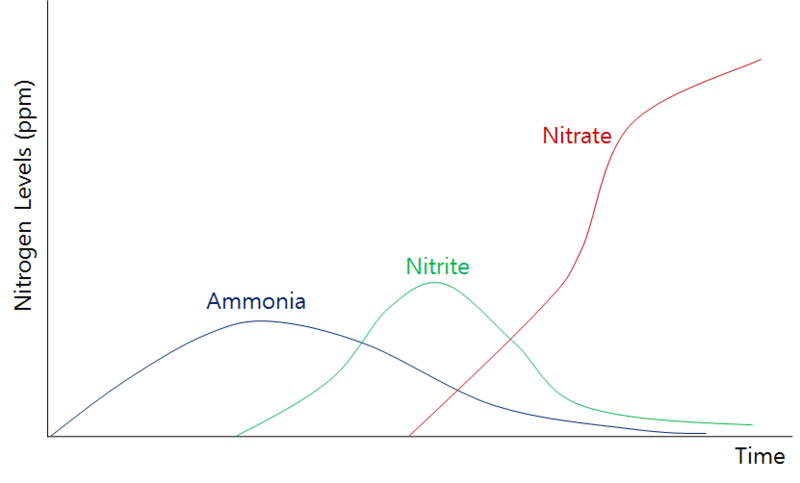 Below is a graph showing the relative levels of ammonia, nitrite, and nitrate in the aquaponic system by time after complete setup. Ammonia will first be produced through fish excretion, then decrease as the nitrifying bacteria convert it to nitrite and nitrate. The optimal ammonia level for fish is less than 0.25 ppm. Ammonia levels can be tested by ammonia test strips, which is available at any local pets stores, or online. After getting the strips, put a sample of the tank water in a clean container and swish around the test strip in the water sample for about 10 seconds. Take the strip out, shake out any excess water, and immediately compare the color to the ammonia comparison chart, which will usually come with the test strips. If the ammonia level is higher than 0.25 ppm, it is recommended to test the nitrite and nitrate level in the water also. Your aquaponic system is lacking the nitrifying bacteria that converts ammonia into nitrate. You should consider adding nitrifying bacteria to your system by: watering plants with water collected from a nearby pond, which will naturally contain the necessary bacteria, or by buying bacteria. One place to do this is www.theaquaponicsource.com, where they sell nitrifying bacteria in liquid form available for use. For nitrifying bacteria to flourish after this, it is important to create the optimal environment for them. Below is a chart showing these optimal conditions. Make sure pH does not drop below 7.0, since nitrification is completely inhibited at 6.0. Chlorine Chlorine level in tank water should be 0. This is very important, as chlorine will kill all nitrifying bacteria and fish. Therefore, test for chlorine before adding any bacteria and fish to the system. Also, do not water the plants or put water into the tank directly from the tap, as cities treat tap water with chlorine to sterilize, killing all bacteria. An easy way to remove chlorine is leaving tap water in open container for 48 hours, since chlorine will turn into gas form after this time period. Your fish are producing much more nitrogen than needed for plant growth. Simply add more plants to your system, or, if there is no sufficient room for more plants, do a partial water change. 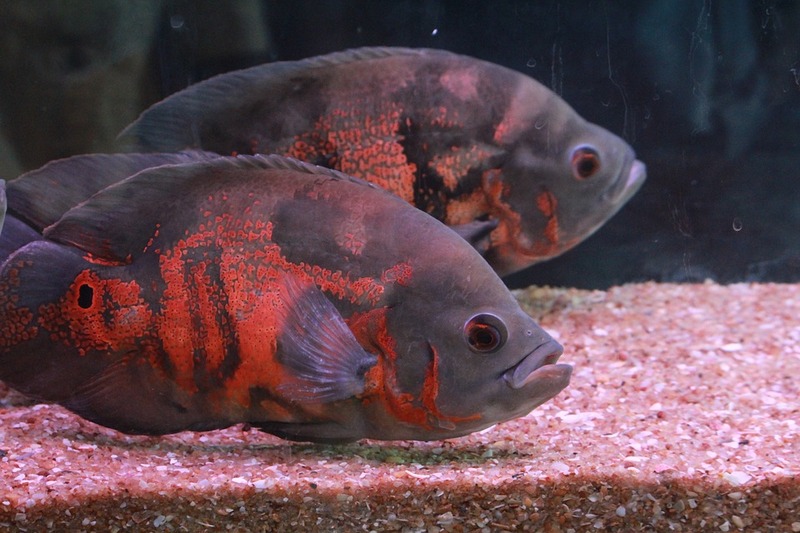 You can do a partial water change by taking some of the tank water partially, and adding more freshwater. This will decrease nitrogen by some amount.